Governments of ten states and one union territory to whom the Supreme Court bench headed by Justice Ranjan Gogoi had on March 23 asked pointed questions regarding the delay in appointment of Lokayukta explained the progress made in this direction by filing affidavits. While Meghalaya, Mizoram, Nagaland, Odisha, Manipur, Telengana and Arunachal Pradesh were asked by the bench to expedite the process when told by their counsels that the “process was on”, Jammu and Kashmir said it was considering the appointment. 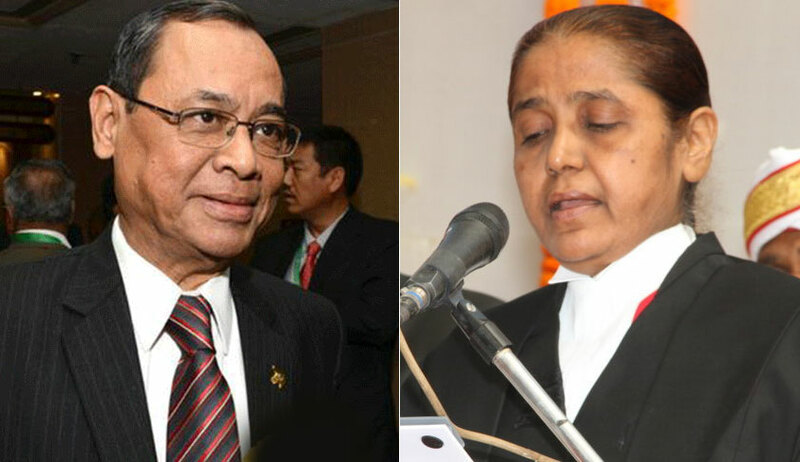 Puducherry told the bench of Justices Gogoi and R Banumathi that a law will be enacted. West Bengal and Tamil Nadu said they were engaged in the process of reviewing the state Lokayukta Act for this purpose. All the governments have been directed to file fresh status reports on July 10, the next date of hearing. Tripura informed that a Lokayukta has been appointed. We have considered the affidavit filed on behalf of the State of Meghalaya and have taken note of the contents thereof. As, admittedly, the process for appointment of Lokayukta under the Meghalaya Lokayukta Act, 2014 is presently on all that the Court would be required is to direct the concerned Authority in the State of Meghalaya to expedite the process. We accordingly direct that appointment of Lokayukta in the State of Meghalaya be finalized at the earliest. Report of compliance be filed on or before the next date fixed i.e. 10th July 2018. The affidavit filed on behalf of the State of Mizoram has been tendered in Court. We have perused the same and have heard the learned counsel for the State. It is stated that the Search Committee has completed the requisite task and a panel of 4 (four) persons have been forwarded to the Selection Committee for the recommendation for appointment. It is also stated that the provision for infrastructure including manpower is 6 currently pending before the Finance Department of the Government of Mizoram. The Court would expect all the necessary formalities in this regard to be completed and Office of the Lokayukta to commence functioning from 1st July, 2018. List the matter again on 10th July, 2018 for consideration of the report of compliance to be submitted on behalf of the State of Mizoram. We have perused the affidavit filed on behalf of the State of Nagaland wherein it has been stated Nagaland Lokayukta Act, 2017 has been published and notified in the Nagaland Gazette dated 31st day of January, 2018. List the matter again on 10th July, 2018 for consideration of the report of compliance to be submitted on behalf of the State of Nagaland. The affidavit filed on behalf of the State of Jammu & Kashmir has been duly considered. The matter will be considered again on 10th July, 2018. In the affidavit filed by the Chief Secretary of the Government of Puducherry it has been stated as follows: “ I respectfully submit that in light of advice of Ministry of Personnel, Public Grievances & Pensions, Dept. of Personnel & Training, New Delhi, the Government of Puducherry is considering the matter of enactment of separate law providing for Lokayukta in the Union Territory of Puducherry. I respectfully submit that as this process requires time including for consultation/approval with Ministry of Home Affairs, Government of India, I pray for the extension of time of six months in the matter.” The Government of Puducherry to expedite the process of appointment and intimate to this Court on 10th July, 2018 the progress made till that date. We have considered the affidavit filed by the Chief Secretary of the State of Tamil Nadu. We have heard the learned counsel appearing for the State. In the affidavit filed it is stated that the Vigilance and Anti-Corruption Directorate of the Government of Tamil Nadu is presently functioning and as envisaged under 8 the Lokpal and Lokayuktas Act, 2013 the Directorate has an Inquiry Wing and a Prosecution Wing. We do not see what relevance the constitution of the Vigilance Commission and its functioning would have on the necessity of having the institution of Lokayukta under the Lokpal and Lokayuktas Act, 2013. In paragraph 12 of the said affidavit it is stated on behalf of the State of Tamil Nadu that the State is closely monitoring and keenly observing the fate of the Amendment Bill to the Lokpal and Lokayukta Act, 2013 (Central Act) which is presently under consideration of the Inter-Ministerial Committee (Group of Ministers) of the Government of India. It is also stated in the aforesaid paragraph of the affidavit that the State of Tamil Nadu is awaiting the establishment of the institution of Lokpal at the Centre to enable the State to take appropriate action and to avoid repugnancy. This Court by its judgment/order dated 27th April, 2017 passed in Writ Petition (Civil) No.245 of 2014 [Common Cause: A Registered Society vs. Union of India]1 had already expressed the view that the appointment of Lokpal at the Center need not await the finalization of the Amendment to the Central Act. In 1 (2017) 7 SCC 158 9 such circumstances, we are constrained to observe that the stand taken by the State of Tamil Nadu with regard to the establishment of the institution of Lokayukta on the grounds stated in the affidavit is not acceptable. As the State is duty bound under Section 63 of the Lokpal and Lokayuktas Act, 2013 to bring in place the institution of Lokayukta we direct the State to take necessary action in the matter and report compliance of the progress made and the stage reached on the next date fixed i.e. 10th July 2018. The report/affidavit to be filed will be that of the Chief Secretary of the State. It is stated by the learned counsel for the State of Telangana that he has received instructions in the matter from the Competent Authority of the State which are to the extent that pursuant to the State Act, which was enacted in the year 2017, names have been recommended for appointment of Lokayukta and the matter is expected to be completed within next 6-8 (six-eight) weeks. The State may go ahead and finalize the matter and file its report for consideration of the Court on10th July, 2018. In the affidavit filed on behalf of the State of West Bengal, it has been stated that the State is presently engaged in reviewing the provisions of the West Bengal Lokayukta Act, 2003 to further strengthen the institution of Lokayukta and Uplokayukta. In the said affidavit, it has been further stated that it is only after completion of the aforesaid exercise that necessary steps will be taken to appoint the Lokayukta. As the review of the West Bengal Lokayukta Act, 2003 is stated to be on the basis of the features of the Central Act i.e. Lokpal and Lokayuktas Act, 2013 and the provisions of the Prevention of Corruption Act, 1988 we may at this stage usefully recapitulate the order passed by this Court in Common Cause : A Registered Society (supra). While the State of West Bengal may certainly engage its attention in the matter of amendment/review of the provisions of the existing 11 law to further strength the institution of Lokayukta we do not see how and why pending such review the State should be left without a Lokayukta. The State, therefore, may proceed further in the matter of appointment of Lokayukta and inform the Court the stage of the progress reached on10th July, 2018 by means of a status report. We have perused the affidavit filed by the Chief Secretary of the State of Odisha wherein it has been stated that the Odisha Lokayukta Act, 2014 has come into force with effect from 16th January, 2015 and presently steps for framing of Orissa Search Committee Rules, etc. are under process. From the affidavit filed it is also evident that after the last incumbent had died in office on 22nd January, 2013 the State of Odisha has not had a Lokpal/Lokayukta. No reasons, save and except that the Rules under the Act are under process, has been stated in the affidavit filed. In the above circumstances, to give effect to the provisions of Section 63 of the Central Act i.e. Lokpal and Lokayuktas, 2013 the State shall take immediate steps for appointment of the Lokayukta which process will be completed at the earliest. The progress made 12 including the finalization of the process and appointment of Lokayukta, if achieved, will be considered by the Court on 10th July, 2018 on or before which date the status report will be filed by the Chief Secretary. 11. We have perused the affidavit filed on behalf of the State of Manipur. We have heard the learned counsel appearing for the said State. On the basis of the statements made by the learned counsel on instructions and the expected stage at which the process of appointment is presently poised, we are of the view that the same should be proceeded with and finalized and the result thereof be placed before the Court on 10th July, 2018 by means of status report of the Chief Secretary. It is stated by Mr. Ritu Raj Biswas, learned standing counsel appearing for the State of Arunachal Pradesh that a meeting of the Selection Committee for recommendation of names for appointment of the post of Lokayukta is scheduled to be held on 27th April, 2018 and thereafter necessary steps will be taken for appointment of Lokayukta. 13 The State may proceed to finalize the matter and intimate the outcome thereof on 10th July, 2018. On March 23, the bench had asked advocate Gopal Shankaranarayanan who appeared for petitioner Ashwini Upadhyaya, lawyer and Delhi BJP leader, which are the states which have appointed Lok Ayukta and which ones have not? When he did not have a definite answer and said he at present had no information, Justice Gogoi read out from a note he prepared that Arunachal Pradesh, Jammu and Kashmir, Manipur, Meghalaya, Mizoram, Nagaland, Puducherry, Tamil Nadu, West Bengal, Telangana and Tripura had not appointed a Lok Ayukta or Uplokayukta. The bench then directed Chief Secretaries of these 11 states to file an affidavit in the court within 2 weeks as to what steps have been taken to make the appointment and also specify the reason for delay or non-appointment. The bench was hearing a PIL seeking appointment of Lokpal and Lokayuktas at the Centre and in states as provided for in the central legislation passed in 2013. The PIL also demanded a Right to Service -a Citizen Charter in every department to ensure time-bound delivery of goods and services contending that it was an integral part of Article 21. It also seeks a direction to all the states to provide adequate budgetary allocation and essential infrastructure for effective functioning of Lokayuktas. Upadhyay alleged that though the Lokpal and Lokayuktas Act, 2013, received Presidential assent on January 1, 2014, and came into force from January 16, 2014, the executive has not established the Lokpal. “Section 63 of the Lokpal and Lokayuktas Act, 2013, envisages that every State shall establish a body to be known as the Lokayukta within a period of one year from the date of commencement of the Act, however, many States have not done so till date. And many States have not passed the Lokayukta Act in consonance with the Lokpal and Lokayuktas Act 2013,” the plea said. According to the petitioner, many state governments are deliberately weakening the Lokayukta by not providing adequate infrastructure, sufficient budget and workforce. “Issue a writ or direction directing the Respondent 3 to 33, to establish an independent Lokayukta in spirit of Section 63 of the Lokpal and Lokayukta Act, 2013 expeditiously and provide adequate budget, infrastructure and manpower, essential for effective functioning of the Lokayukta,” the plea said.